GABRESKI AIR NATIONAL BASE, N.Y. - The New York National Guard was preparing to deploy 75 Airmen and 11 Soldiers to Hurricane Michael response missions as the storm came ashore in the Florida panhandle on Wednesday. "New York is ready, willing and able to help states impacted by Hurricane Michael because as we all know too well, no one is immune to the new normal of extreme weather," New York Gov. Andrew M. Cuomo said. "New York State is committed to providing personnel, equipment and teams to help our southern neighbors recover as quickly as possible." The New York Air National Guard's 106th Rescue Wing deployed one HC-130 search and rescue aircraft, one HH-60 Pave Hawk rescue helicopter and two Zodiac rescue boats along with 60 Airmen from Gabreski Air National Guard Base to Gulfport-Biloxi (Mississippi) International Airport on Wednesday. The wing was ready to send more support personnel -- for a total of 75 Airmen - from its Westhampton, New York, base if necessary. The team includes specially trained pararescue Airmen and Combat Rescue Officers who will crew the HH-60 and the two rescue boats, along with support personnel. 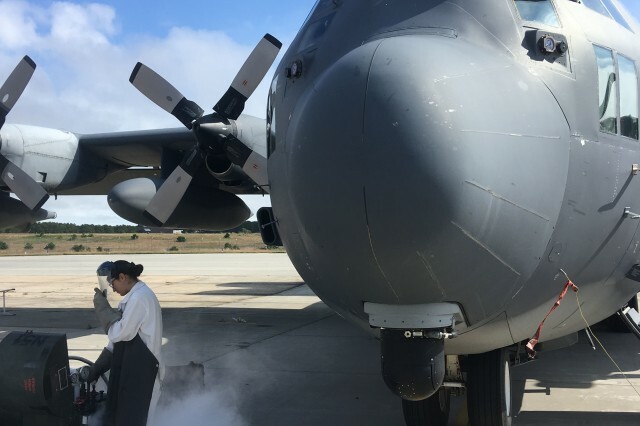 The 106th Rescue Wing trains year around so that when the wing's Airmen need to deploy they do it quickly and efficiently, said Col. Michael Bank, the wing commander. "When the call comes we are ready to help out and make a difference,"Bank said. The New York Army National Guard's Bravo Company, 3rd Battalion, 126th Aviation also will deploy two CH-47s and 11 crewmembers to Tallahassee, Florida, on Thursday. The CH-47s are due to be on station on Friday, according to Maj. Eric Fritz, the office in charge of the deployment. The unit was authorized to send as many as 20 Soldiers if necessary. The Soldiers will be prepared to conduct evacuation missions as needed and to move high priority cargos, Fritz said. The CH-47 is a large double rotor helicopter that can carry up to 9.5 tons of cargo or up to 30 people. His Soldiers were eager to get down to Florida and start helping, Fritz said. This is the second time this year that the New York Army and Air National Guard have deployed forces to assist in Hurricane response. 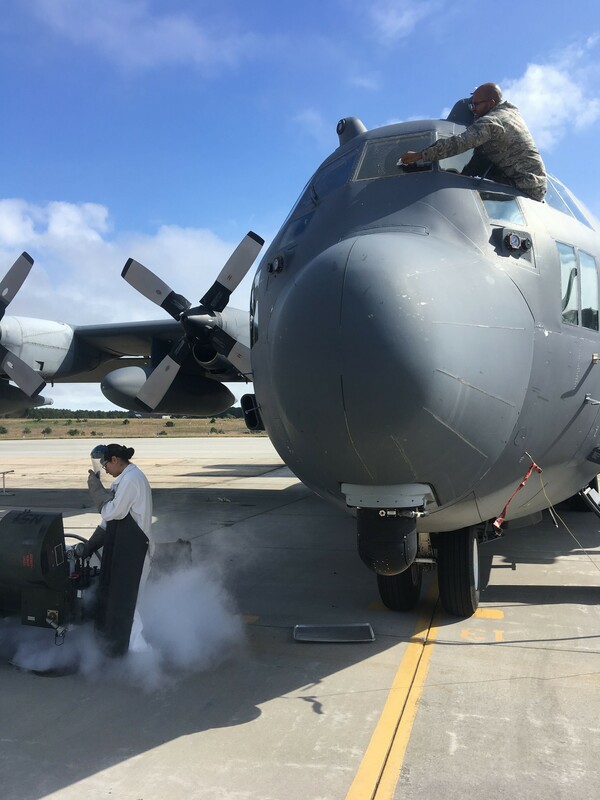 The New York Army and Air National Guard deployed 132 Soldiers and Airmen to North Carolina and South Carolina in September when Hurricane Florence struck that region. That deployment included two HC-130 search and rescue aircraft, four boats and crews and an HH-60 Pave Hawk helicopter from the New York Air National Guard and two CH-47s and two UH-60s with hoists from the New York Army National Guard. The Airmen from the 106th Rescue Wing conducted aerial search missions as part of a combined Air National Guard Search and Rescue element that included Airmen from Oregon, California and Alaska. The Army UH-60s--configured as medical evacuation helicopters--conducted patient transfer missions and a few rescues during the September deployment in response to Hurricane Florence. The New York Army National Guard CH-47s were used to transport critical supplies in South Carolina. The 106th Rescue Wing deployed from Gabreski Air National Guard Base on Sept. 13, while the New York Army National Guard UH-60s deployed on Sept. 16 and the CH-47s deployed on Sept. 17. The CH-47s were the last unit to return, arriving back in Rochester on Oct. 1.